Highlights - How to save them - if lost, how to get them back ? Highlights – How to save them – if lost, how to get them back ? When we paint with watercolors then we have always to make sure that we need to save our highlights. 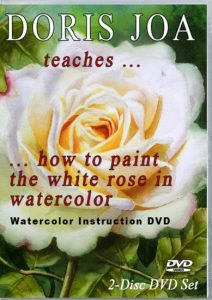 Especially when painting with watercolors we know that for our highlights we will use the white of the paper. And the best way to save our highlights is to think about them BEFORE we start to paint, before we cover these areas with colour. This means we need to know where our highlights are and then we have to save them. How to save our highlights? Painting around the highlights in my watercolor paintings is my preferred method. But it means you have to be very carefully with your washes so that the highlights are not covered with any colour. On the other hand there is no reason to make the painting process too difficult. Masking fluid is a great tool to save the highlights, especially for the sparkle in eyes or the whiskers of a cat. But it can be hard to apply masking fluid for fine lines. 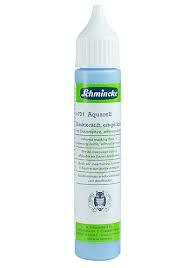 Luckily there are now special bottles available with fine line applicators (see image right). These bottles are available in your art stores. 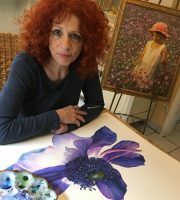 Using masking fluid allows you to paint freely without worrying about your highlights. Masquepen has a very fine point applicator and works much better for really tiny areas. NOTE: When you remove masking fluid, it will leave hard edges on the saved area. This is fine for a sparkle in an eye. 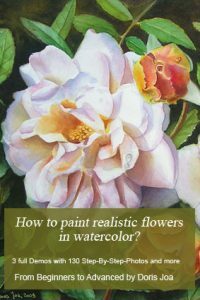 But it is not okay when painting other areas, if it are the stamens in a flower or the whiskers of a cat. Then you have to soften those areas. 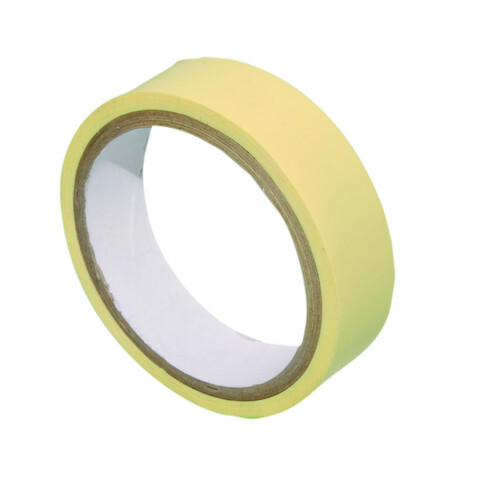 Tapes are also a wonderful help when painting maybe a background and you want to save some areas for white flowers. It is not very handy for saving small highlights as mentioned above. The methods 2) and 3) are really safe to keep the highlights where we want to have them. When the tape and/or the masking fluid is removed we then have still our part of white paper. But what if we used method 1) – painting around – and lost our highlight(s)? Don’t worry there are ways to get your highlights back. How to get our highlights back? There are several methods available and it is always good to have one of the following tools at hand. An electric eraser is very useful. 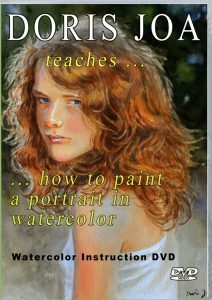 It works great on the watercolor paper and gives you highlights back. Perfect for sparkles in water. I am using a Denkeshi Electric Eraser in the final stage of fine tuning. Aquacover is like liquid watercolor paper and the perfect cover up allowing you to fix small or large areas quickly and painlessly. Once applied it dries in seconds and is permanent, non-cracking and non-yellowing. You can then apply color directly over it without bleeding! Aquacover is best applied with a brush. 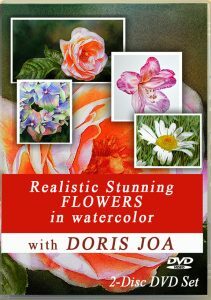 Here is a link you could find it on Jerrysartarama or maybe you will find it in any other art material store. A simple Razor Blade or a sharp knife helps you to remove a bit of the surface of the watercolor paper and then you have back a white area. Be careful using it and don’t hurt yourself. The next helpful tool is an eraser from Faber Castell – Perfection 7057. It is a very hard eraser, which helps you to get highlights back when you later decide to add dewdrops and you have not saved the highlights before. It is a great tool, too. But if you erase too much and too strong you can damage your paper. 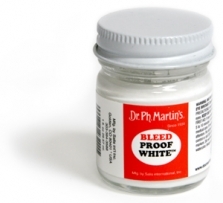 Dr. Ph Martin’s Bleed Proof White is an opaque watercolour and another wonderful tool to cover your paper with some white. It works perfect for adding tiny hairs, whiskers, sparkles in an eye, highlights on fruits and so on. You also can use a little Scrubby brush for getting highlights back. It depends on the colour which is underneath how white your highlight will be. It also won’t work very well if you want to have only a tiny highlight. I personally always like to paint around my whites and my highlights. But of course I don’t want to make things too difficult for me and I then use what helps me with my painting process. It is always good to have one of these tools at hand. 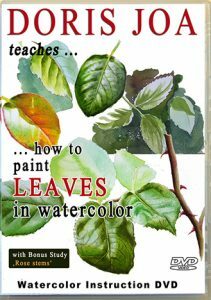 Get more Free Watercolor Lessons or have a look at my Watercolor Videos. ← Edges – soft, hard, lost! How important are they? Thank you for your ideas/help. I am a Senior who is taking art lessons at one of our recreation centers. Since I am on a tight retirement budget any free art help is greatly appreciated.